Social Islami Bank Limited Job Circular 2017 latest. Online Application starting from 07 March 2017 and ended on 23 March 2017. 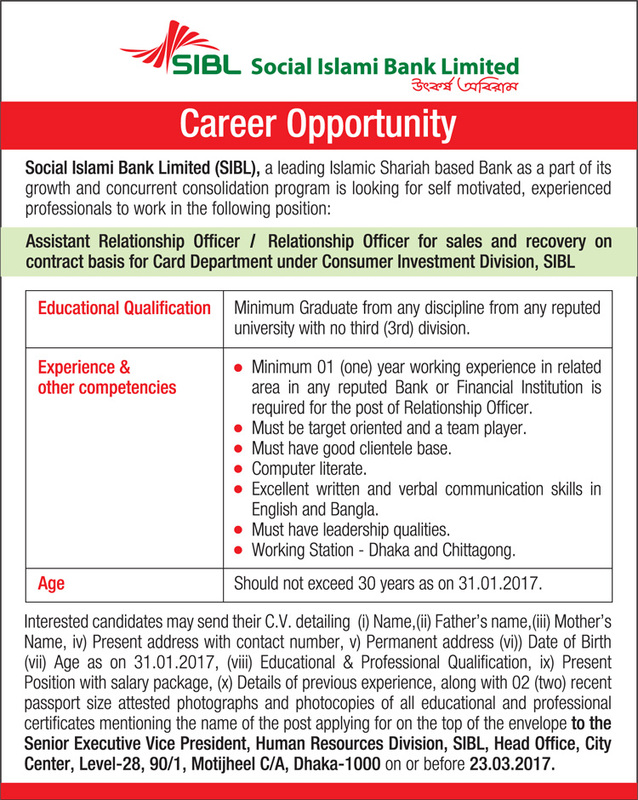 Social Islami Bank Limited (SIBL) will recruit for the post of Assistant Relationship Officer & Relationship Officer for the year 2017. SIBL New Job circular 2017 for the post of Assistant Relationship Officer & Relationship Officer published on 07 March 2017. Interested and eligible Bangladeshi Citizenship candidates are requested to apply for the position. Age Limit: Not over 30 years (Date on 31.01.2017).